We provide the most professional: advice, placement consultancy, pick up, delivery, picture and mirror hanging service that you will find. We can hang at any height into any surface. Stairwells are no barrier to your design choices. Collage wall hanging can be intimidating for some. Let us take the hassle out of it. 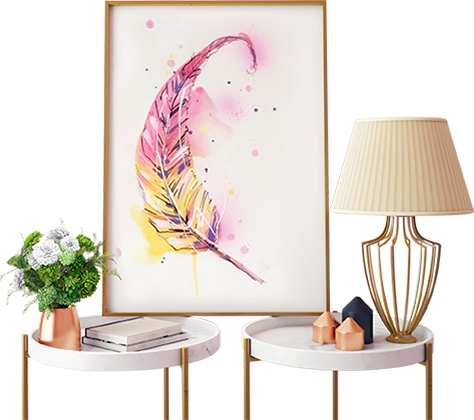 Simply collate your framed photos, and we will come up with a design that shows off your beautiful collection. More and more art enthusiasts and rentals are incorporating the Gallery Track System to their homes. This system not only provides you with that beautiful gallery look but also the solution for the fear most people have when it comes to hang pictures, holes in the walls. We will install the ArtiTeq® gallery system for you. We have a great range of ArtiTeq® in-store, and it’s easy to install or allow us to fix it for you.